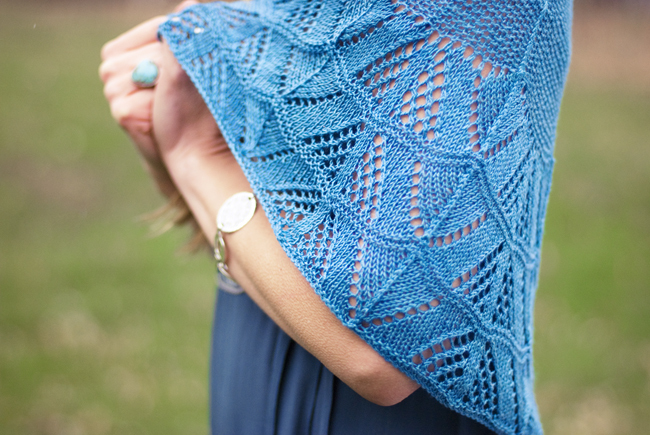 Hey, if you get the between-issues newsletter, you already know about the new Summer KAL; Fannette! Designer Melissa Goodale has agreed to pop in and answer questions about this one-skein shawl; perfect summer knitting in cool Handmaiden Sea Silk. This unique semicircle shawl incorporates some fun techniques for its shaping; check out the cast-on and the increases–this KAL provides a great chance to try something new with the designer right at your elbow to help. The most-favorited project from the Knitcircus Summer Issue, Fannette's going to be a party. 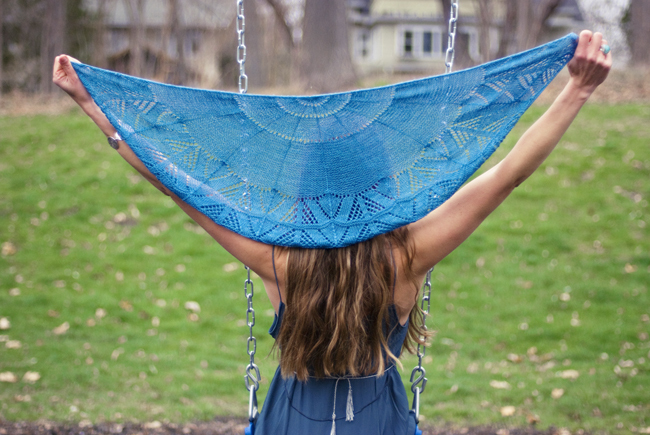 Pick up a Summer Pattern Collection, your needles and some silky yarn and come on in!